DIXON, Ill. — A gunman fired at an officer at an Illinois high school Wednesday morning, and the officer shot back, injuring the suspect, reports CBS Chicago. The incident happened around 8 a.m. at Dixon High School in Dixon, about 100 miles west of Chicago. The suspect was arrested and being treated for his injuries. No students or staff were injured, Dixon city officials said in a statement on Facebook. “Dixon Police believe the suspect acted alone and that there is no further threat to the safety of students or staff,” the statement said. 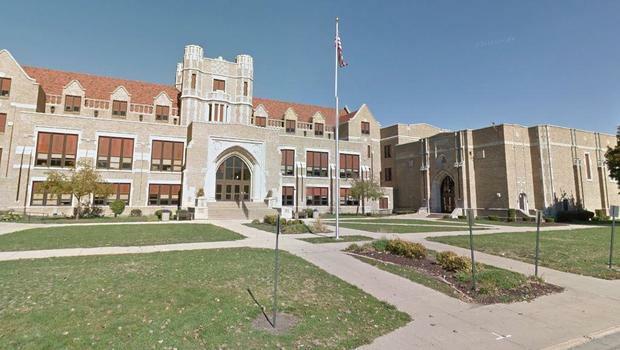 Dixon Public Schools were on lockdown and parents were being told to pick up their children at a baseball field across the street from the high school, the station reports.